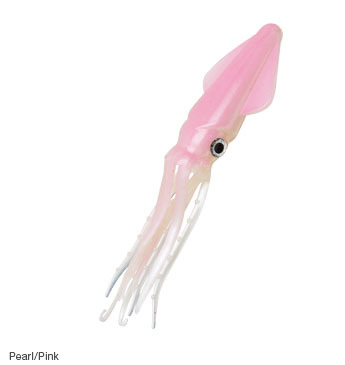 The appearance of Sof-TeaZ® SquidZ™ speaks a lot louder than any words that might be used to describe this amazing lure. It`s a dead-ringer for the world`s most universal blue water bait. The Sof-TeaZ SquidZ are made of Z-Man`s exclusive ElaZtech®, an extremely soft, flexible plastic that looks and feels remarkably real, yet is incredibly durable- up to 10X Tougher than ordinary plastic baits. Вы сейчас на странице: Z-MAN Приманки мягкие ZMAN SquidZ SquidZ.